We are committed to promoting safety, reliability, and increasing confidence in the healthcare and veterinary markets while cutting costs. To achieve this goal, a revolutionary, wearable, infusion device that we call the Mini-Infuser™ has been developed. The Mini-Infuser™ is an award winning, breakthrough solid state device that is lightweight, disposable, and accurate without traditional moving mechanical parts. The Mini-Infuser™ uses a proprietary polymer that creates a force strong enough to deliver viscous products such as biologics, and stands in sharp contrast to the bulky, complicated and expensive pump systems currently on the market. 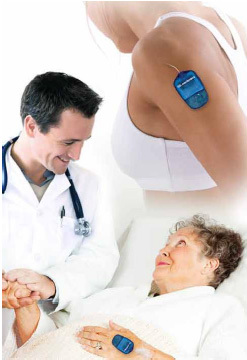 The Mini-Infuser™ can also be individually programmed for therapies uniquely designed for patients in need of relief from pain, diabetes, chronic heart failure, and many other disorders. Our technology includes wireless transmission capability so that these therapies can be monitored remotely. Finally, with a strong team focused on the Veterinary market we intend to build on early successes in this market sector by continuing to treat companion animals for post-surgical pain and other needs. The technology in the veterinary infusion device is the same platform that will be applied to the human infusion device.